Frequently Asked Questions | Virginia Auto Fraud Attorney | The Consumer Law Group, P.C. What is title washing and is it Auto Fraud? Buying a used car is always a bit of a gamble. Looks can be deceiving and a clean-looking car could be hiding dark secrets. In most states, the car’s title should give you reliable information about past sales and any major damage it has endured. However, because there is no federal standard for used-car title branding, laws vary from state to state and dishonest sellers will take a car that has been damaged to a state with loose title laws to get a clean title issued. This is called title washing and it is illegal. Repaired. If the car has been in a serious accident, the title should be branded with this designation. Non-Repairable. If the repair cost exceeded 90 percent of the car’s value, or if an insurance company wrote the car off as totaled, the title should have this brand. However, if you are buying a car with a title that was issued in another state, the brands could be different or nonexistent. If a dishonest seller has a car with a title that is branded negatively, the seller may take it to a state with looser or no branding laws and get a new title issued. This title will make it look like the car has had no major repairs and no significant damage. An example of widespread title washing happened after Hurricane Katrina. Thousands of cars that were completely submerged in water were taken to states with no title branding for flooding and issued clean titles. Owners did not discover the water damage problems until it was too late. You can expect similar problems as a result of the over 1 million cars that were flooded in Florida and Texas in the summer of 2017 hurricanes. It is highly recommended that you have a professional body shop, not connected to the seller to inspect your car for flood or prior accident damage. Even though these clean titles are being issued according to individual state laws, it is still an illegal practice. Be wary when buying a used car. An inspection by a mechanic you trust could uncover problems not revealed on the title. While it can be hard to pursue these sellers for fraud, if you suspect a used car dealer in Virginia is washing titles as a general practice, you should report it to the Virginia Department of Motor Vehicles and contact the Consumer Law Group in Richmond at 804.282.7900. Should I consider an auto loan modification plan when I can’t make my loan payments? No matter what caused you to get behind on your car payments, you are probably desperate for a solution. After all, you need your car to get to work, get groceries, and to drive your family where they need to go. So when you are facing repossession of your car, you might be willing to do anything to avoid it. Unfortunately, scam artists know this and are poised to take full advantage of you. One way they do this is by promising to renegotiate the terms of your loan for an up-front fee. Don’t fall for it—it’s most likely a scam. What Do These Companies Promise? Whether you seek out a solution to your car loan payment problems or you receive an unsolicited offer, you should be very wary of what is being promised. These loan modification companies will charge you several hundred dollars and promise to negotiate with your lender to lower your monthly payment. They may share positive client testimonials and claim they have relationships with dealerships and lenders. They may even offer to refund your money if they cannot make a deal for you. However, many of these companies are complete frauds. They have no intention of contacting your lender. Basically, they will take your money and run. Meanwhile, you may have stopped making payments as you wait to hear back about your new payment plan, putting you in even more trouble with your lender. Even when the company is not a total fraud, they cannot do any more for you than you could do for yourself. As soon as you are unable to make a payment, contact your lender to see they will work with you. The longer you wait, the fewer options you will have. Your lender may agree to either deferring missed payments to the end of the loan or extending the loan term to reduce monthly payments. You will end up paying more on the loan in the long run, as creditors are unlikely to reduce the amount of principal you owe or to lower the interest rate to accommodate you. If you are unable to negotiate a plan you can afford, the lender may be able to repossess your car. If you were the victim of loan modification fraud, report the incident to the Federal Trade Commission and call The Consumer Law Group, P.C. to see if we can help you take action against the fraudulent company and get your money back. What is the “Five Finger Spread” scam used by car dealers? You’ve heard the age-old advice, “Read the fine print,” but what if you can’t see the fine print? 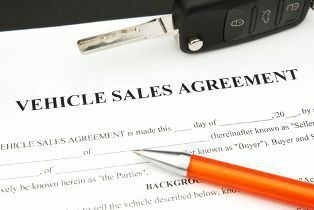 This may be the case when signing a purchase agreement for a new or used car from a disreputable dealer. In this simple but effective trick, the salesperson offers the contract to you, but places his hand over key sections of the contract so that you cannot see what you are signing. The buyer thinks the salesman is holding the paper in place so that it can be signed more easily, but, in fact, he is tricking you into agreeing to a purchase price you did not agree to or expensive add-ons or even devices which can shut your car off is a payment is late. What Could Be Under the Hand? Rustproofing. New cars do not need this service, but it earns dealers a big profit, so they are happy to offer it, or sneak it into a contract. Fabric protection. Spraying a protectant on the fabric costs the dealer almost nothing, but they will gladly stick you with a charge of $100 or more. Paint protection. Paint sealant is another unnecessary service given the quality of the factory paint jobs these days, but it is easily hidden in a contract, so look for it. VIN etching. When a vehicle identification number (VIN) is etched onto a car window, it makes the car much harder to sell if it has been stolen, so this service is a decent theft deterrent. However, you can do this yourself for $30 rather than paying a dealer $300. Extended warranty. Most experts agree that extended warranties are not worth the money, but dealers are successful in talking many buyers into them. Make sure one has not been added into your contract without your approval. A bump in the sales price. If nothing else, you should absolutely make sure you can see the final sales price on the contract when you sign it. If a dealer is attempting to cover up the price, you can be sure he is up to something shady. Starter interrupt devices. These permit the creditor or dealer to disable your car if it wants to when it feels a payment or other requirement in your purchase/loan contract is not met. It is up to you as the buyer to read everything you sign and question anything you do not understand. However, if a dealer or salesperson intentionally deceives you into agreeing to pay for something you do not want, you may have a case for auto fraud. Contact the Consumer Law Group to find out more. Do I have a right to cancel a car purchase agreement? Before signing on the dotted line for that shiny new car, you had better be sure about the purchase because, once you drive off the lot, you will not be able to cancel the agreement and return the car. Unfortunately, there are some misconceptions that buyers have a “cooling-off” time period in which to change their minds about the purchase. While this is true for some types of purchases, it does not apply to new cars. 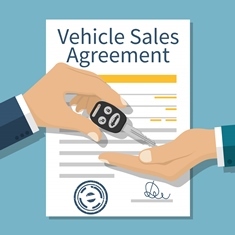 One of the few circumstances that could lead to a new car purchase agreement being cancelled is if the dealer has agreed to a conditional sale, also known as a “yo-yo sale.” In this case, you sign a contract agreeing to purchase the car and the dealer lets you take the car before it has received final approval from a third party lender it is trying to sell your loan to. 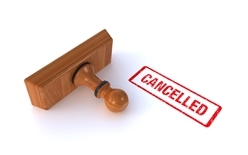 If financing is denied, the dealer will cancel the contract. You must return the vehicle, in its original condition, within 24 hours and the dealer must return you trade in and the down payment you made with no deductions for your usage or mileage or you face repossession. This right to cancel only applies to the dealership—you do not have a right to cancel for any reason. Unlike other products, cars lose significant value as soon as they are driven off the lot. If car dealers allowed even a brief “cooling-off” period, they would be stuck selling new cars at a loss. That is one reason the Federal Trade Commission’s 3-day cooling-off rule does not apply to new car purchases. In fact, this rule only applies to sales made at your home, workplace or dormitory, or at a seller’s temporary location, like a hotel or motel room, convention center, fairground or restaurant. It is designed to protect consumers from high-pressure sales tactics in locations other than a store or showroom. Some people believe they are allowed this protection for any purchase, but they are not. If a dealership intentionally misled you into purchasing a car, either through false advertising, failing to disclose the full price or terms of financing, or misrepresenting the accident history or condition of the vehicle, or any other form of fraud, you may have a case for returning the car for a full refund. If you believe your new car has a mechanical defect and qualifies for Virginia’s Lemon Law, you may also be able to return it. These situations can often be worked out directly with the dealership but, if a dealer is making it difficult for you, you may need the help of a consumer attorney. If you believe a dealership in Virginia has committed fraud and you are stuck with a car or a loan payment you don’t want, contact our consumer attorneys. We will fight to get justice for you. What are the chances I will end up buying a used car that was donated to a charity? You’ve heard the ads and seen the billboards: Donate your used car to charity and get a tax deduction. Clearly, this appeals to many people as over 700,000 cars and trucks are donated to charities nationwide each year. Most of these vehicles are donated because they are not worth enough for the owner to make the effort to sell them privately. This may leave you wondering, where do all these used cars go? And, even more importantly, if I buy a used car for my teenager, what are the odds it was one of these broken-down charity cars? It turns out, the odds are probably pretty low. How Does a Donation Work? Most car donations work in a similar way. Someone sees a billboard on the highway and calls the posted number. They are asked a few questions about the car—although most charities will take any used car—and arrangements are made for the car to be picked up. The donor transfers the title of ownership and gets a receipt verifying the donation. The minimum tax write-off for the donor is $500, but he or she will have to itemize their deductions in order to take advantage of the deduction. What Do Charities Do With Donated Cars? Sold for parts. Most donated cars have a mechanical problem that makes it unlikely to be resold. A charity can get more money out of the car by selling individual parts. Used by the charity. If a donated car is in decent working condition, it may be used by the charity for programs like Meals on Wheels, or given to a needy family. Sold “as-is.” Some of the cars are sold to new buyers, but usually at auction and under a clear as-is policy. While there is some controversy surrounding the tax write-offs and actual profitability to charities of car donation programs, there has not been a backlash from cheated used car buyers. You should always conduct a title search when buying a used car to make sure it was not flood-damaged or salvaged at any point it its history, but you are fortunately not likely to be stuck with a donated clunker. Does a Dealer Have to Tell You About Problems With a Car? Does a car dealer have to tell you about problems or damage with vehicles it sells? In short, the answer is yes. IF the dealer knows about a problem and it is considered “significant” or “material”. The Virginia Consumer Protection Act not only covers affirmative misrepresentations, but also affords you protections if the product is blemished, defective used, repossessed, deteriorated, or “not first class”, the supplier or dealer must clearly and unequivocally indicate in the offer for sale that those goods are blemished, defective used, repossessed, deteriorated, or “not first class”. Such a failure to disclose gives rise to a concealment claim, as well as a claim for fraud, or deception. A concealment claim, whether for fraud or under the VCPA, however, has been interpreted as requiring the consumer to prove that the concealment was deliberate. Moreover, a dealer’s willful nondisclosure of a material fact that it knows is unknown to the other party may evince an intent to practice actual fraud. This may sound easier than it is to prove because the dealer, when confronted by you about a problem you discover after the sale will usually deny that it knew about it, or will claim this problem occurred AFTER you bought it. They will also claim you never even asked about any problems or prior damage, which you should always do. Be alert to a dealer that will use a “clean” Carfax as proof the vehicle has no problems. If it does this, and knows the car has problems, then that is fraud. Furthermore, all dealers know that Carfax’s database is full of holes and a clean report does NOT mean the car has never been in an accident or damaged. It just mean that the sources Carfax uses are not reporting it yet. So always, if possible, have someone with you when negotiating to buy a vehicle, to confirm that you asked whether the vehicle has ever been damaged or in an accident or has any problems.in the event the dealer says you never asked. And even if you did not ask, the dealer does have a duty to disclose this material or significant information if it knows about this problem. What is a vehicle purchase add-on and how could it be considered auto fraud? Car dealers engage in all kinds of deceptive practices. From misleading advertisements to odometer tampering, a dishonest dealer has lots of tricks up his sleeve to sell you a car for more than what it’s worth or get you to agree to additional products or services you don’t need. These products and services are called purchase add-ons and include things like extended warranties, payment programs, guaranteed automotive protection (GAP insurance), credit life insurance, road service, undercoating, and theft protection. While these products may be legitimate, if you are unaware that they have been added to your purchase, you may have been a victim of auto fraud. 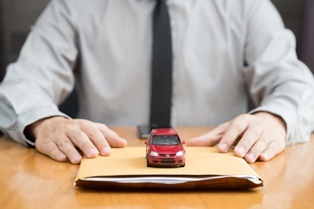 A recent crackdown on deceptive practices by automotive dealerships by the Federal Trade Commission (FTC) resulted in the discovery of a major financing company and a dealership engaging in unscrupulous add-on practices. Understanding what happened in two major cases can help consumers be more aware of how this could happen to them. National Payment Network (NPN, Inc.). The FTC found that this company, based in northern California, sold an auto loan payment program to consumers, promising they would save money over the life of their loans when, in fact, they charged such high fees for the service that possible savings were cancelled out. Fees to enroll in the service averaged $775 for a standard five-year auto loan. NPN has been ordered to refund more than $1.5 million to consumers and waive another $949,000 in fees to current customers. Matt Blatt Dealerships. This chain of New Jersey dealerships was found to have participated in NPN’s deception by selling their services to their customers and failing to explain the additional costs. The dealerships received a commission of $1000 for each customer it enrolled in the program. Matt Blatt Dealerships was ordered to pay $185,000 to the FTC for its involvement in the scam. Hopefully, the dealership you are doing business with is honest and straightforward about the additional products and services they offer. There is nothing wrong with a salesperson offering you an extended warranty or roadside assistance, but he or she must be honest about the cost and what the cost covers. Before entering a dealership, learn about products like warranties, theft protection, and undercoating and decide whether you want them or not. Do not allow yourself to be talked into something you know you don’t need. If you find you have been coerced or tricked into purchasing an add-on, contact the experienced auto fraud attorneys at The Consumer Law Group. We’ve seen it all and we can help you understand if you have been the victim of fraud. Auto Fraud: Are You Regretting Your Car Purchase? What is arbitration and why is it bad for consumers? How many times have you agreed to the terms and conditions of a purchase or contract without actually reading what you have agreed to? We do it all the time. Those agreements are long and hard to understand, so many of us skip over them without even thinking about what it could mean later on. We simply sign on the dotted line or click the “I Agree” button and forget about it. However, since a 2010 U.S. Supreme Court decision, many of those agreements now contain a clause that takes away the signer’s right to sue if something goes wrong with the product or service you are buying. Instead of suing the company for damages, you have agreed to take the issue to arbitration. What’s So Bad About Arbitration? 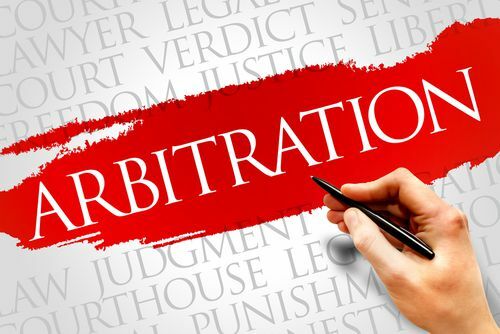 The defendant often picks the arbitration company and the arbitrator, who is not required to have a legal background or to consider legal precedent in his or her decision, and is paid by the defendant. Therefore the arbitrator may be biased. The decision is kept private, so there is no way to learn about similar complaints against a company. The process does not allow for an appeal or for any other legal action related to the issue, even if the decision is blatantly unfair. The consumer sometimes has to pay a share of the arbitrator’s charges and the arbitrator can order the consumer to pay all of the charges, which can be thousands of dollars. Arbitration clauses often also prohibit class action lawsuits, which is often the only means consumers have to take on large corporations for unfair practices. Clearly, the arbitration process favors the corporation, not the consumer. So what can you do to protect yourself? First, read the fine print. Whenever possible, especially with large purchases, do not agree to a contract that takes away your right to sue. The clause will sound something like, “You or we may elect to resolve any claim by individual arbitration. Claims are decided by a neutral arbitrator.” This will be difficult as almost every agreement you sign these days—car loans and leases, credit cards, insurance policies, bank accounts, student loads, and nursing home agreements—includes an arbitration clause. Major companies such as Netflix, Amazon, Groupon, Verizon, and Chrysler also have these clauses in their agreements. If you do become a victim of an arbitration scam, make some noise. As consumers who took on the arbitration clause at General Mills discovered, consumers can organize a protest and make themselves heard. If you are confused by what to do when faced with an arbitration clause, call The Consumer Law Group at 804-282-7900 to get your questions answered. How do I know if I am a victim of auto fraud? When you buy a car, truck, or motorcycle, most consumers would like to believe that all dealers are going to handle the transaction with integrity and honesty. Unfortunately, however, that is not always the case. Some dealers utilize fraudulent and deceptive tactics during the vehicle purchasing process. Consumers who fall victim to auto fraud must take action in order to protect their legal rights. Some consumers confuse auto fraud matters with violations of Virginia’s lemon law. The two are not the same, however. While both auto fraud cases and lemon law cases involve automobiles, auto fraud cases involved improper tactics used by a car dealer during the vehicle sale process. Lemon law cases pertain to defects or problems with the vehicle itself. If you believe you may have been a victim of auto fraud, it is important to take action in order to protect your legal rights. We are here to provide guidance. We encourage you to contact us today for more information at 804-282-7900. What should I do in order to protect myself before purchasing a certified pre-owned vehicle? Purchasing a new or used vehicle is rarely an easy and stress-free process. For some consumers, purchasing a certified pre-owned vehicle provides much-needed peace of mind. Dealers or manufacturers may offer certified pre-owned programs wherein vehicles are marketed as having met certain safety and performance standards following a detailed inspection. These vehicles may also come with an extended warranty. But before purchasing a certified pre-owned vehicle, it is crucial for you to arm yourself with knowledge. This can be done by ensuring that the details of the particular certified pre-owned vehicle program are fully understood, as well as other typical measures such as reviewing the used car history report and having the car checked by an independent mechanic. Be sure that you fully understand what is being “certified.” The exact nature of the inspection process as part of a certified pre-owned vehicle program varies from manufacturer to manufacturer. Some are more stringent than others. Know whether you are obtaining an extension of the manufacturer’s bumper-to-bumper warranty on the vehicle. If so, it is important to understand the details of the warranty. For example, many certified pre-owned vehicle programs offer extensions that last for one year or 12,000 miles. They also may not cover any pre-existing problems that are present, but not noticeable at the time of purchase. Understand whether you are obtaining an extension of the manufacturer’s power train warranty. The power train on a vehicle consists of the engine, transmission and drive train. If you are purchasing a certified pre-owned vehicle that comes with an extended power train warranty, only those parts making up the power train will be covered in the event of an issue. Recognize whether you are receiving any type of warranty at all. Some manufacturers do not give consumers any warranty for the purchase of a certified pre-owned vehicle except for a service contract or agreement. It is important to understand that a service contract is not the same thing as an extended warranty. Service contracts are more similar to insurance policies, and unfortunately, consumers may have fewer available legal remedies with regard to service contract issues than they do with a vehicle’s warranty. These service contracts almost always exclude problems at the time of purchase, whether noticeable or not, and prior wreck damage may void the service contract entirely. Understand whether it is the car dealer or the manufacturer that is certifying the pre-owned vehicle. Did you purchase a certified pre-owned vehicle that later proved to be defective? We can help. We encourage you to contact us today for more information at 804-282-7900. How can I avoid being a victim of fraud when purchasing a certified pre-owned vehicle? When a dealer or manufacturer puts a used vehicle through an inspection and makes repairs to ensure the vehicle is running properly, it can then be sold as a certified pre-owned vehicle. Many consumers are willing to pay more for this type of vehicle under the assumption that it is in better shape than others. However, some auto dealers take advantage of consumers by selling vehicles as certified pre-owned when these vehicles have a history of performance problems. Know that a pre-owned certified vehicle may have been involved in a wreck or flood, and it may have received serious damage. Request that the dealer provide you with a free used car history report. Call the reporting service to verify that the report has not been altered. You may also wish to conduct a free search at the National Insurance Crime Bureau (NICB) website. If the report indicates no prior accidents, the car may still have been in one. Have a witness with you and get the salesman to verify it has not been damaged or in an accident and if he or she will not, have it taken to a body shop of your choice and pay them to examine the vehicle and tell you about any damage they can find. Have used cars checked by a mechanic before purchasing. The vehicle should be checked thoroughly, preferably by someone who is experienced in auto body repair. Ensure that any deposit you make on the vehicle before it’s inspected will be refunded. Bring a person with you who can verify the statements of the salesman. Check that the paperwork you sign clearly guarantees this refund. Consider using a credit card to make the deposit payment because a card often makes it easier to dispute fraudulent charges. Contact your attorney immediately if you buy a certified pre-owned vehicle and discover it had previous problems that were not disclosed to you. He or she can help ensure that your legal rights are protected. If you purchased a vehicle and it is defective, it is important to act quickly in order to protect your legal rights. We encourage you to contact us today for more information at 804-282-7900. I purchased a car and the dealer concealed certain optional add-ons while we were negotiating. Does that constitute fraud? For most consumers, the car buying process can be overwhelming and exhausting. When you finally agree to a vehicle and a purchase price after negotiating with a dealership, your guard may be down. At that point, you likely think that the difficult part of the car buying process is over. Unfortunately, this is not always the case. Some salespeople commit auto fraud in the way they handle add-on costs during the car buying process. You decide to purchase a new or used vehicle from a dealer. After picking out a vehicle, you negotiate the monthly payment you will have to make with the salesperson. After you agree upon the monthly payment, the salesperson conceals the fact that he included certain optional add-ons, like gap insurance into the final vehicle price, telling you that these came with the montly payment you agreed to when, in fact, these were optional items, without which your monthly payment would be much lower. Even if the salesperson did not conceal the inclusion of these add-ons, the salesperson may have concealed the true cost of the add-ons. Why do some salespeople and dealerships commit auto fraud by concealing the price or inclusion of optional add-ons? These add-ons are very profitable for the dealership and the profit margin on the add ons is mich higher than on the vehicle itself. If you were a victim of add-on concealment auto fraud, it is important to seek legal assistance. We strongly encourage you to contact us today at 804-282-7900. What are some examples of auto fraud under Virginia law? For many consumers, the purchase of a motor vehicle can be an overwhelming process. Vehicles are an expensive investment; as a result, consumers often have to rely on the trustworthiness of the dealer when investigating the vehicle and ultimately making the purchase. Unfortunately, auto fraud can and does take place. It is important for consumers to understand when fraud has taken place in order to protect their legal rights. Virginia law is clear in how it defines auto fraud, and this article explores some of the more common examples to be aware of if you’re shopping for a car. The dealer attempts to conceal repairs that were made to a vehicle that had previously been totaled. The dealer executes a “bait and switch.” This means that the dealer lures the buyer to the dealership by advertising a price for a specific vehicle. When the buyer arrives at the dealership, however, the dealer either sells the consumer a different vehicle or sells the same vehicle to the buyer, but at a higher price. The dealer misrepresents or attempts to conceal flood damage to the vehicle if asked. The dealer attempts to conceal or misrepresents prior accidents that occurred involving the vehicle if asked. The dealer misrepresents to the consumer that the consumer’s financing is approved. Later, after all of the papers have been signed, the dealer tells the consumer that the financing did not go through, and therefore the consumer will have to sign a more expensive contract. This is known as a “yo-yo” sale. The buyer does not have to sign the new contract. If he takes the car back within 24 hours of being contacted by the dealer, the dealer has to give him back his down payment and/or trade-in. A key factor in the success of these prior wreck cases is proving the dealer knew the vehicle was previously wrecked. While Virginia has several laws in place designed to protect consumers, there are time limitations imposed on the ability to pursue a claim. For this reason, if you suspect that you are a victim of auto fraud, we encourage you to act quickly by contacting us today at 804-282-7900. What documents are important to support your auto fraud case? After purchasing a used vehicle from a car dealer and later discovering that the dealer concealed the true condition of the vehicle, you are likely feeling frustrated and angry. Consumers enter into these transactions with the assumption that the dealer will be forthcoming and honest about the product they are selling. Unfortunately, that is not always the case. As a result, you may need to pursue a claim against the dealer for auto fraud. As part of this process, it is important to collect certain documentation from the dealer. 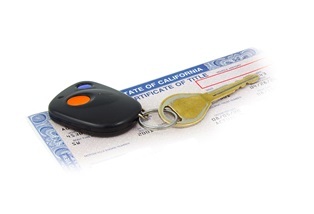 Documents relating to the previous owners of the vehicle which includes a DMV title history. The sales documents relating to the dealer’s purchase of the vehicle as well as the subsequent sale to you as the vehicle’s purchaser. Copies of all repair documents relating to the vehicle. Copies of all policy and procedure manuals implemented by the dealership. Any CarFax or AutoCheck report the dealer has ordered on your car prior to your purchase. Knowing what to do when a dealer lies to you during your auto purchase experience is crucial to enforcing your legal rights. Fortunately, we are here to provide guidance. We encourage you to contact us today at 804-282-7900 for more information. Can a dealer roll the negative equity in my trade-in into the price of my new vehicle? For many consumers, the purchase of a new vehicle also involves the trading in of an older vehicle. As part of the transaction, the consumer sells his old car to the dealership. The consumer may still have an outstanding loan balance on this older vehicle. In some cases, the loan balance is higher than what the older vehicle is worth. Consumers must use caution in these situations as auto fraud may occur. When a consumer trades in an older vehicle and purchases a new one, the dealer will first assign a value to the older car. If the value of the car is less than what is still owed on the loan used to purchase that vehicle, this is known as negative equity. In order to move forward with the sale on the new car, the dealer cannot increase the cash price of the new vehicle to cover the negative equity. Attempting to hide negative equity is a form of auto fraud. The dealer may show on the contract of purchase that the amount of payoff is the same as the trade-in value, but then increases the purchase price to cover the negative equity. The salesperson may even claim that they will pay off your trade-in as the trade-in value and lead you to believe that the payoff amount is what was given as the trade-in value, but then conceal the negative equity by increasing the purchase price. Consumers may be harmed in this type of situation because the consumer may have to pay higher taxes on the inflated sales price. Consumers should never be paying sales tax on a direct loan from the car dealer. In addition to the auto dealer, the parties who ultimately purchase or invest in the credit contract after the sale is finalized can also be held liable for fraud when negative equity is hidden. Consumers must protect themselves whenever auto fraud is suspected. Fortunately, we are here to provide guidance. We encourage you to act quickly by contacting us today at (804) 282-7900. What can I do if I regret my car purchase? There is no cooling off period when it comes to buying a car. If you want to get out of a car purchase, the only way is to prove the car dealer committed fraud in the sale of the purchase. This is called a fradulently induced contract, it does not matter if it was sold AS IS. If auto fraud induced you to buy the car, then you can cancel the deal and get your money back. If you feel you have been lied to during the process of buying your car and the car dealer committed auto fraud, please contact us at The Consumer Law Group. What do I do if a car dealer lied to me? Car Dealers often make misrepresentations in the sale and financing of cars. There are so many different ways Car Dealers and Manufacturers break the law in an auto sale, that we cannot answer the question in just one way. Did they commit Auto Fraud in Virginia, or violate the Virginia Lemon Law? Send us your questions, and we will try and help you. If I am unhappy with the way my vehicle is performing, should I stop making payments on it and let it be voluntarily repossessed? No. The lender has nothing to do with any mechanical problems your vehicle is having. If you stop making payments, the lender could repossess the vehicle, sell it for less than you owe, and still sue you for the difference. If the car is sold, that makes a case against the dealer difficult because the car is evidence. How does a voluntary repossession of a vehicle hurt me? 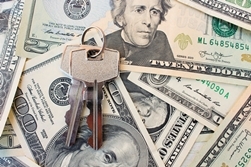 A voluntary repossession will be put onto your credit report and as such, will make your credit score lower. Also, it really does not help much, other than possible avoiding a claim for some of the costs of repossession. After a vehicle is voluntary repossessed it will be sold by the lender at auction, and if the purchase price at the auction is less that what you still owe on the vehicle, the lender usually files a lawsuit against your for the difference. Thus, voluntarily taking the car to the lender or dealer, rather than having them come to your home or employment to repossess the vehicle, only saves the possible claim for towing costs and any embarrassment when the tow truck drives off with your car and the neighbors are watching. How can a consumer find out the history of a used vehicle prior to purchase? The consumer can obtain an AutoCheck report and a CarFax report. Both require a VIN (Vehicle Identification Number) and a small fee. The consumer can also obtain a DMV title history through NMVTIS. The best way for a consumer to know for sure about the vehicle’s prior history is for the consumer to have the vehicle inspected by a licensed body shop expert.